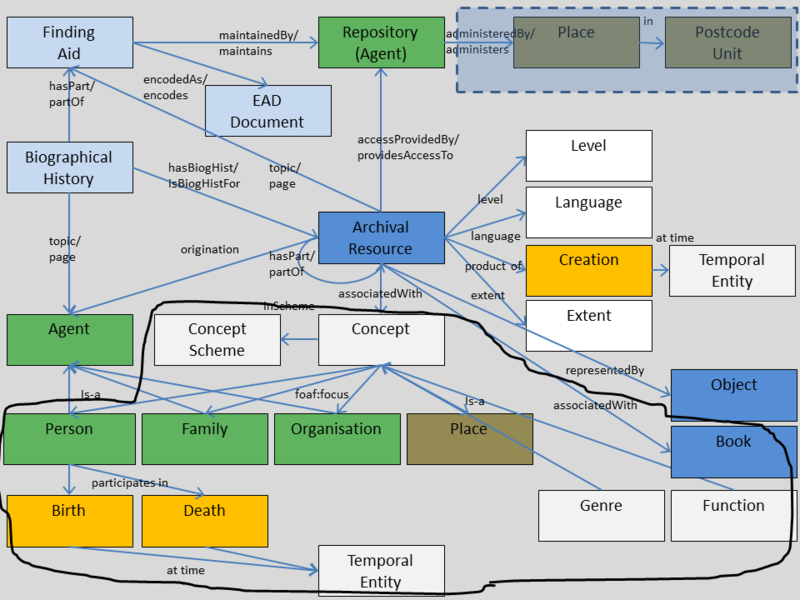 We thought it would be useful to say a little bit here about what the Mass Observation Archive is to provide some context to the SALDA Project (and archivists love context). The Mass Observation Archive specialises in material about everyday life in Britain. It contains papers generated by the original Mass Observation social research organisation (1937 to early 1950s), and newer material collected continuously since 1981. The Archive is in the care of the University of Sussex and is a charitable trust. We are working on the catalogue data from the early phase which encompasses the Second World War. Mass Observation started in 1937 as a reaction to the abdication of Edward VIII. There is a history of Mass Observation available on the Mass Observation website. 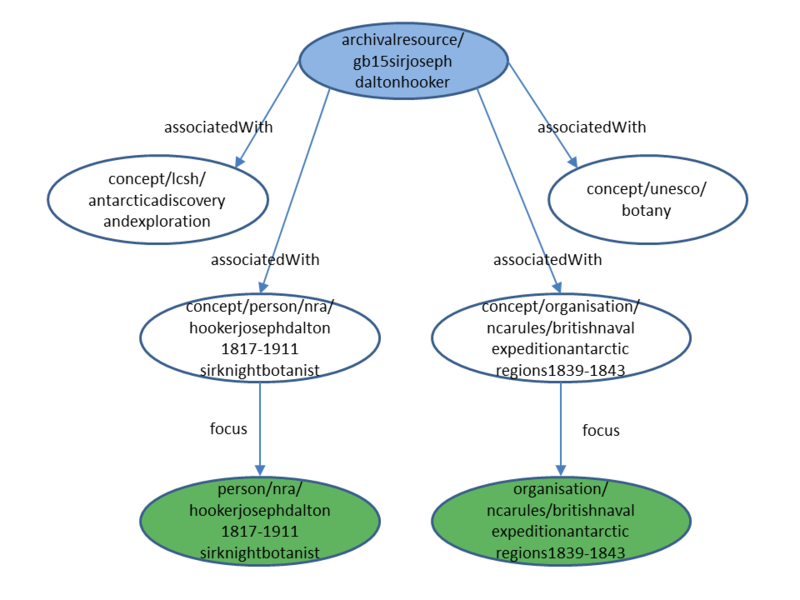 It is important to stress that it is the catalogue data we are making available, not the documents themselves. 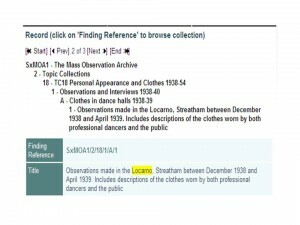 You can see that the hierarchy is represented above the item description, so “Observations made in the Locarno, Streatham between December 1938 and April 1939” is in File : Clothes in Dance Halls 1938-40, Subseries: Observations and interviews 1938-40, Series: TC18 Personal Appearence and Clothes, Section: Topic Collections, Collection: Mass Observation Archive. 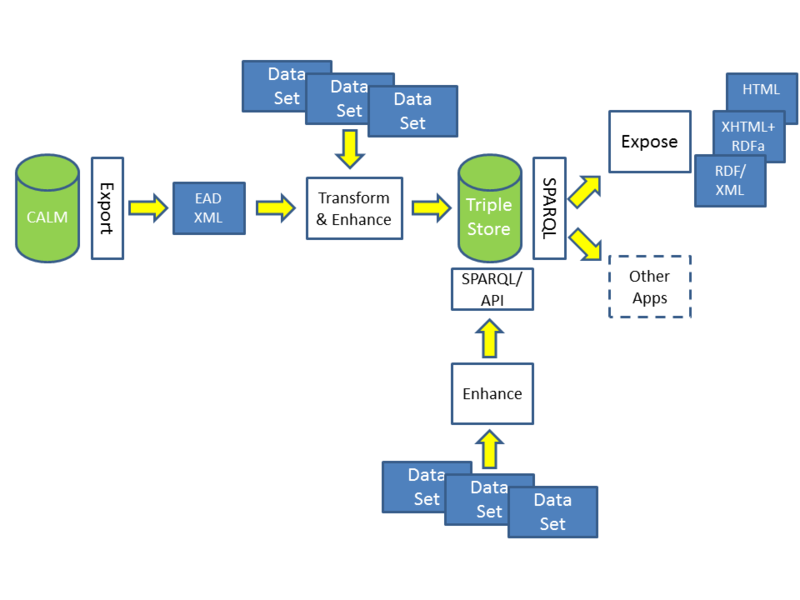 Guidelines for required fields and common problems with the EAD report are available from the Archives Hub here. For the future, we will need to add these fields to all our collection level records to make them EAD ready. A quirk with this transfer to EAD is that it is a report, not an export so you cannot highlight a selection of records (called a hitlist in CALM). 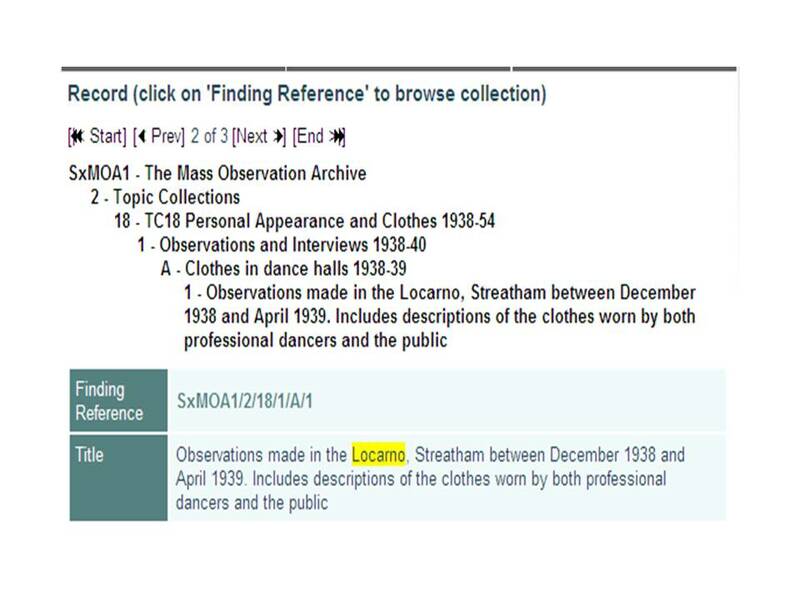 The Mass Observation Archive is over 23,000 records and is causing CALM to freeze. Very quick and helpful advice from the CALM helpdesk led us to turn off the server and then run the report which seems to work. This method is less good for the rest of the Special Collections staff in the office who need to use CALM and our users who access it through the web interface, so I am rationing my EAD tests to less busy times.